Chick-fil-A rolled out a new app last week that promises to fix one of customers’ top complaints about eating there: long lines at the register. 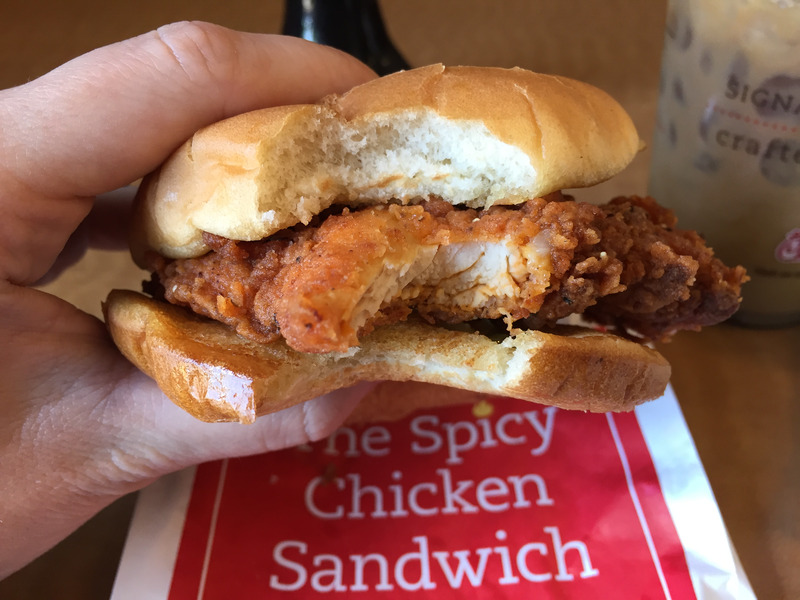 We tested it out during peak lunch time — when Chick-fil-A is typically slammed with customers — to see if it really lives up to its promise. The app, called Chick-fil-A One, allows customers to order and pay for their food in advance, then pick it up at a counter designated for online orders. This isn’t a new concept. Starbucks was one of the first major chains to successfully offer this service. We wanted to know whether it could work just as seamlessly at a full-service restaurant as busy as Chick-fil-A. 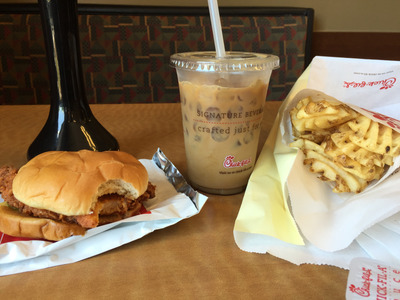 After downloading the app at home, I selected a Chick-fil-A restaurant in Richmond, Virginia, and ordered a spicy chicken sandwich, side of waffle fries, and a vanilla iced coffee. The ordering process went smoothly. I found it easy to navigate the menu, add sides and sauces, and customise my order. When I arrived at the restaurant 20 minutes later, it was about 12:15 p.m. and as busy as I had expected. The parking lot was completely full (I had to park at a nearby store) and there were at least 20 cars in the drive-thru lane. Inside, most of the dining tables were occupied and there was a line of 11 people at the register. 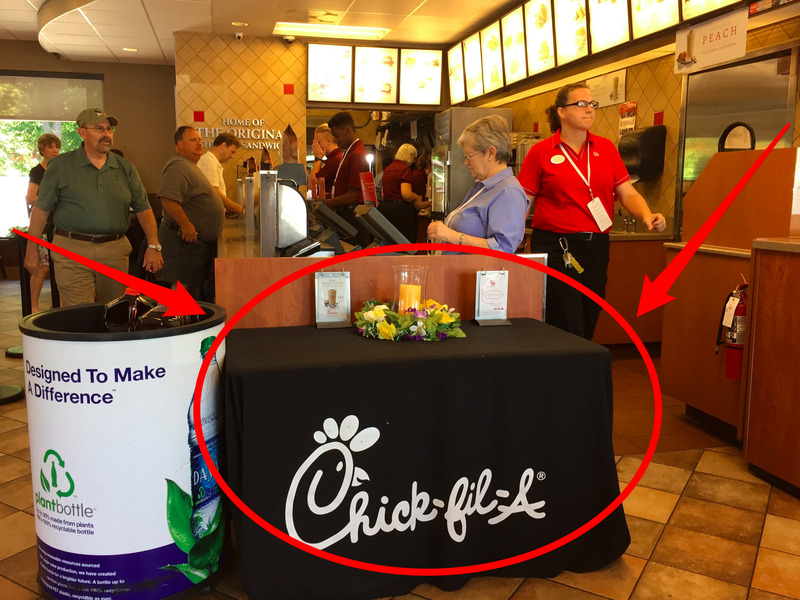 To the right of the front counter, I saw a “pickup” sign hanging from the ceiling over a table that displayed signs for Chick-fil-A One. I figured that this was where I should wait for my food. I opened the Chick-fil-A app to see if it recognised that I had arrived at the restaurant. Unfortunately it didn’t, so I clicked “I’m here” to manually let the app know I had arrived. I got a message saying my order was in progress and that my credit card had been charged. I started a timer and 65 seconds later, an employee called my name and handed me my food by the “pickup” table. I sat down at a dining table to eat. The food was piping hot and the order was accurately filled. As I ate, I noticed three more customers come in the restaurant for online orders. None of them had to wait longer than a minute for their food. Meanwhile, the line for the registers stayed steady with about 10 customers queuing at a time. ollow through on its promise of enabling me to avoid standing in line. I was a little disappointed that the geo-targeting function of the app didn’t work, so I had to manually let the restaurant know that I had arrived. I assume this will be fixed in future updates. As Chick-fil-A One grows in popularity, there’s a risk that the queues for food simply shift from the registers to the online pickup area. If that happens, Chick-fil-A will have to hire more employees during peak meal times to pack orders. Fortunately for Chick-fil-A, however, packing online orders is likely more efficient than taking orders at the register. Employees can fill more orders faster when they aren’t spending time communicating verbally with customers and exchanging money at the register. 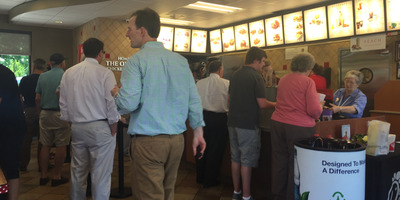 So the shift to online ordering could help Chick-fil-A increase productivity.